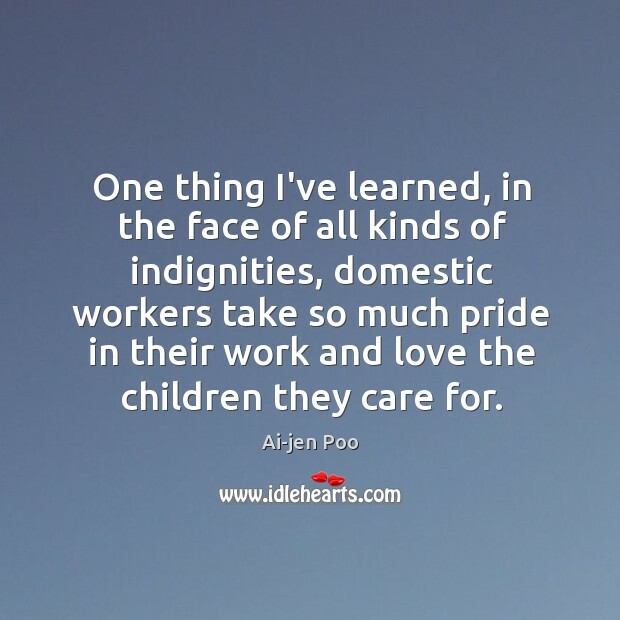 Enjoy the best inspirational, motivational, positive, funny and famous quotes by Ai-jen Poo. Use words and picture quotations to push forward and inspire you keep going in life! 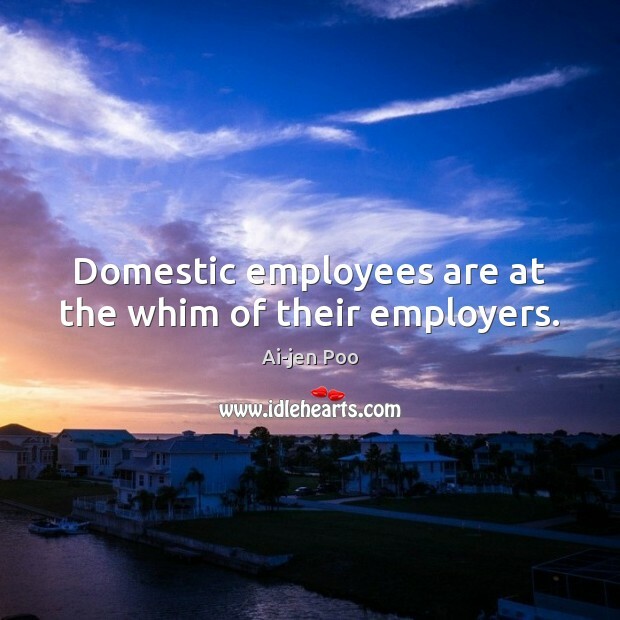 Domestic employees are at the whim of their employers. I think we really need a movement to drive how popular culture understands the issues that feminists care about. When I think about the LGBT movement for example, they have had a really intentional strategy to try to change images and representation of LGBT people in the media and the culture. It really moved the dial politically. 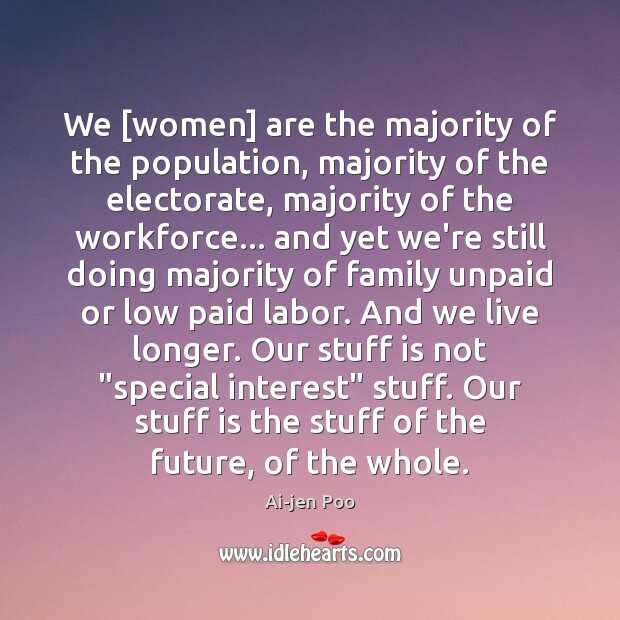 That's what is needed in the women's movement - a strategy that can drive awareness and culture change. 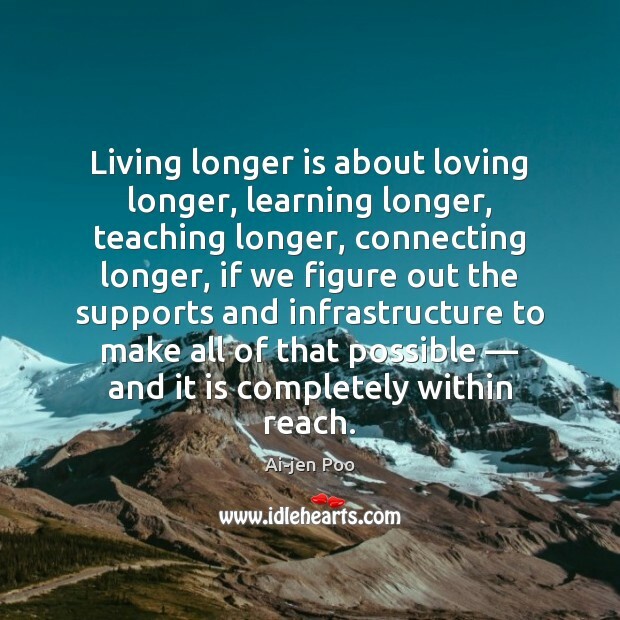 Living longer is about loving longer, learning longer, teaching longer, connecting longer, if we figure out the supports and infrastructure to make all of that possible — and it is completely within reach. 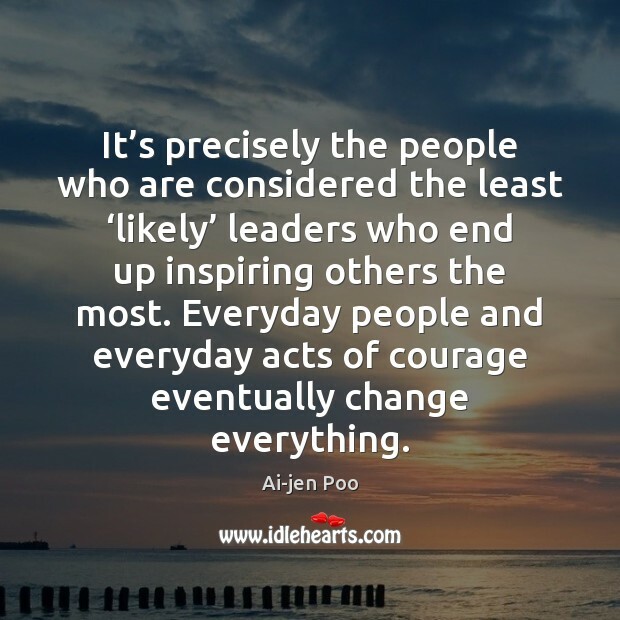 It’s precisely the people who are considered the least ‘likely’ leaders who end up inspiring others the most. Everyday people and everyday acts of courage eventually change everything. 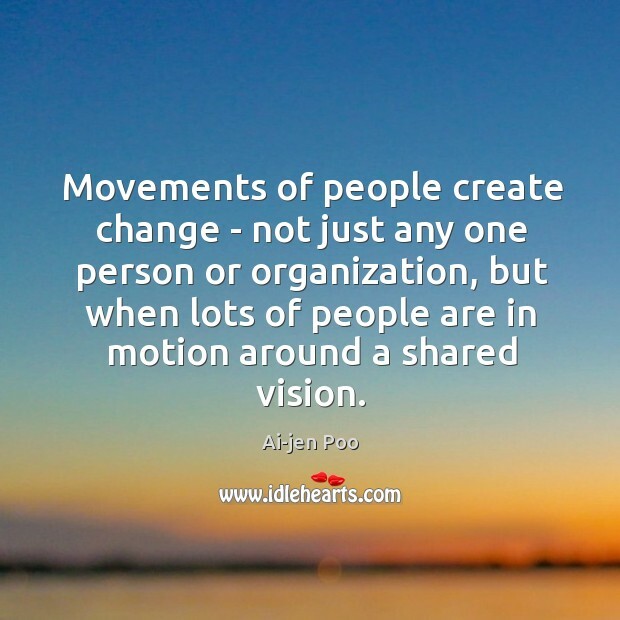 Movements of people create change - not just any one person or organization, but when lots of people are in motion around a shared vision.